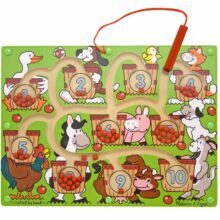 Develops fine motor, counting, and sorting skills and encourages creative expression and imaginative play. 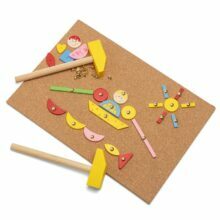 Combine dozens of magnetic pieces in coordinating designs to dress two friends and their pets (a precious puppy and cute kitten) to tell stories about these best friends! 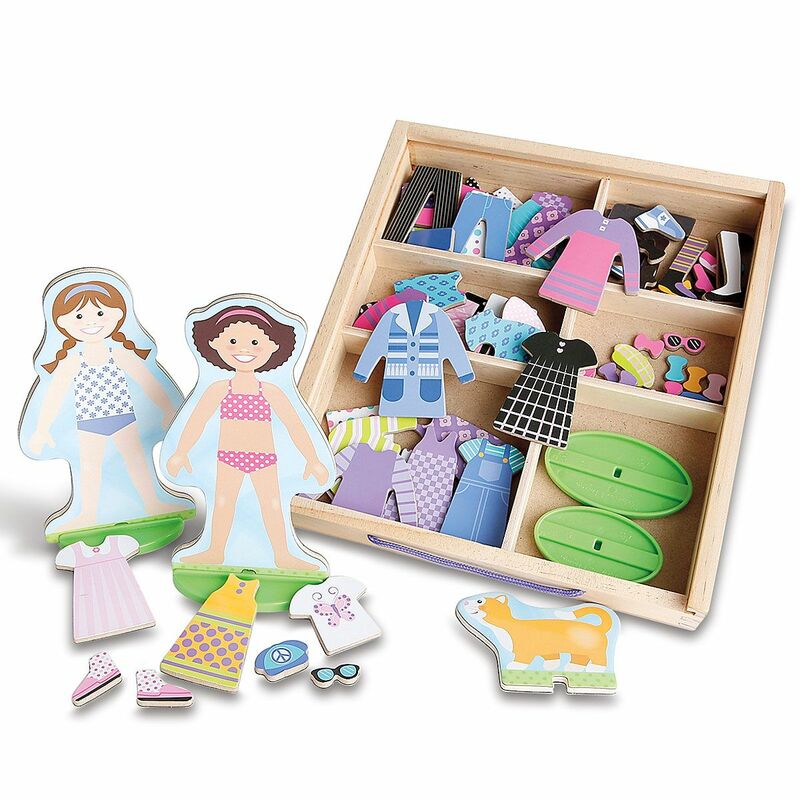 Mix and match coordinating magnetic clothing and accessories to dress the dolls. 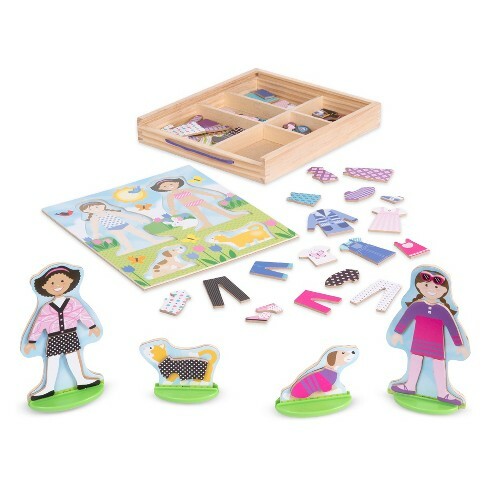 The dolls, each with a durable stand for pretend play, and the pieces all store in a sturdy wooden tray with a slide-in lid and convenient carrying handle to take the fun on the go! 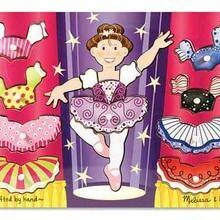 This unique dress-up dolls set helps kids three and older develop hand-eye coordination and fine motor, counting, and sorting skills, and encourages creative expression and imaginative play.